If I didn’t know this Sugar Cookie Sugar Scrub was a body scrub, I would want to eat it. From the sugar to the vanilla to the almonds, it is full of yummy ingredients that I just can’t get enough of. Thankfully, I did read the directions and used it properly, and I’m so glad I did! 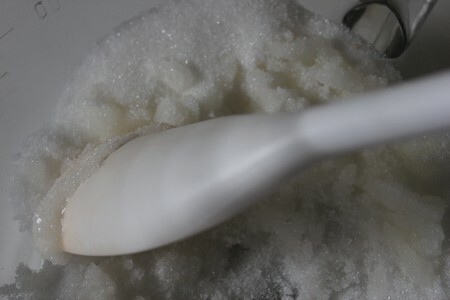 As yummy as it sounds, this Sugar Cookie Body Scrub feels even better on my skin. It is really gentle, and it smells really good too. Not only are body scrubs like this Sugar Cookie Body Scrub absolutely luxurious, but they are really good for your skin too. They are great for gently exfoliating your dry skin away, leaving your skin smoother and brighter. They are also great for cleansing your face of all of the dirt and make-up that gets caught in your pores. Many people swear by them. 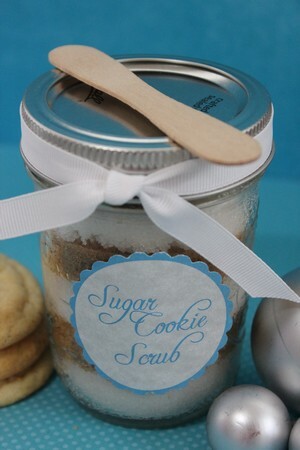 One reason I especially love this Sugar Cookie Sugar Scrub (other than how amazing it smells!) is the fact that it doesn’t contain any harsh ingredients or strange chemicals. Some scrubs have ingredient lists that are practically a mile long. The ingredient list on this Sugar Cookie Body Scrub only has five common ingredients that you may even have in your kitchen right now! 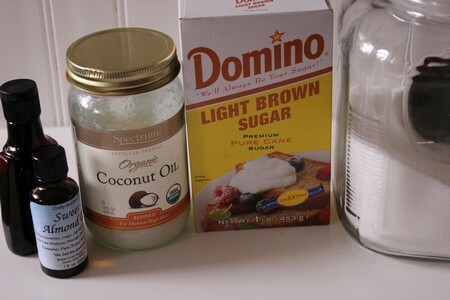 If you are ready to really pamper yourself and make your skin smell amazing, go make this yummy Sugar Cookie Body Scrub right now! Your skin will look great and you will feel even better with just a little bit of well-deserved pampering. You deserve it! Pour sugar into small bowl. Pour brown sugar into another small bowl. Add half of the coconut oil, almond and vanilla to each bowl. Add your sugars to the jar in layers. Press your Sugar down with a spoon or I use a can to compact. OMG! I bet it smells amazing!